Building a startup has its own challenges and failure can sometimes be too costly for your startup journey. Let’s start this blog with a few very common startup quotes that we have all heard in the past. We have all been taught to not be afraid of failing by many very successful entrepreneurs. While this does have a lot of wisdom to it, the truth of the matter is ‘how’ we go about using this phenomenon of ‘failing fast’ or ‘failing often’ without first running out of money. This is the dilemma most startups face. Let’s dive a bit into this by understanding how an entrepreneur with an idea goes about launching a startup. Self-investments: Put all your ‘nest egg’ into your startup idea. Typical self-investments are around $20k. F-F-F: Raise some seed money from Family, Friends, and Fools (yes, I have been the 3rd one many many times before). Typical raise: $25k to $50k. Accelerator: Typically invests $25k to $50k with lots of mentoring support. After being in the angel investing world for the last 5 years, and in my past role as a managing director for an accelerator program, I have noticed that there is very little room for error during the early stages of a startup’s journey. Sometimes these mistakes can end the ‘startup life’ for entrepreneurs. So ‘failing fast’ and ‘failing often’ may be good but entrepreneurs, unfortunately, can’t afford to make too many mistakes. These mistakes typically come from misalignment of market needs vs. entrepreneurs’ vision; product development challenges; having the wrong team; and poor product/execution; just to name a few. In the end, the startups are dead, and investors lose their investments. Let me back this up with a study by CB insights who has done post-mortem research on 242 startups and found that the second biggest reason why startups fail is that they ‘run out of cash’, following the reason of ‘no market need for the product/service’. 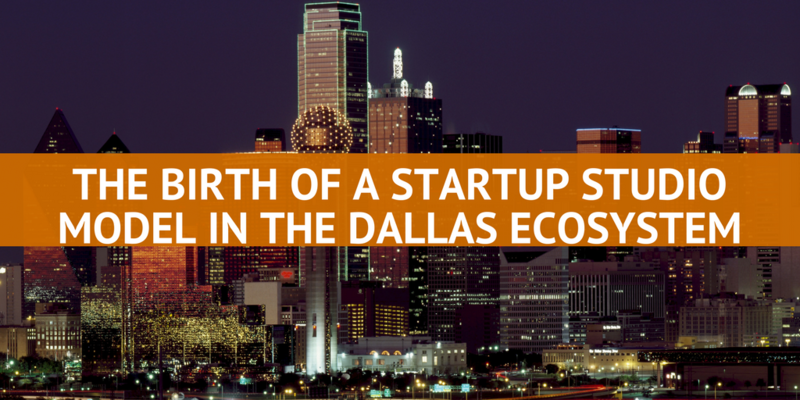 These data points were ample for us to evolve Collide Village from our accelerator program to the launch of a startup-studio program, branded under the ‘CoBuild’ name in Dallas. A startup-studio is a program that builds companies. The goal for these programs is to quickly transform early-stage ideas into revenue-producing companies by providing capital, proven methodologies, and hands-on expertise. Building a successful startup is very hard. It requires domain expertise, market viability, operation proficiency, timing and exceptional execution. And although failure rates are higher in the startup world, working closely with expert co-pilots helps increase one’s chance of success. To learn more about the CoBuild program or to submit your startup idea, please visit us here.